Northern Trust is the presenting sponsor of the annual EXPO CHICAGO event, which is a premiere showcase for high-wealth individual art collectors and investors. The event is promoted to over 3,000 clients through multiple digital campaign assets and in a sponsored area at its Navy Pier venue. 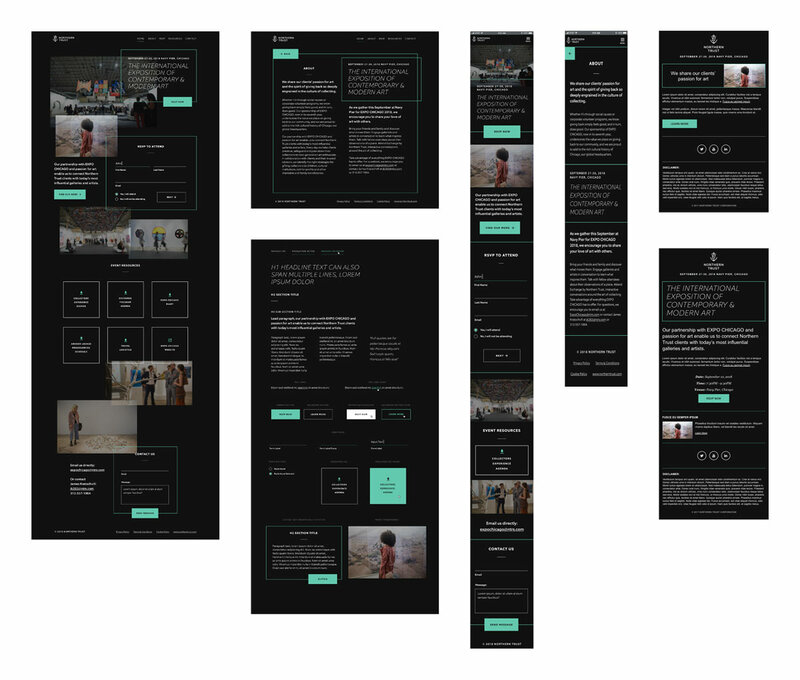 I was brought in as the Visual and UX Design Lead to create the central digital location for the campaign assets that would house the registration form and other event materials. The mood board was created in Invision to gather and organize all the inspiration gathered by the design team. After creating a mood board for inspiration, I jumped into hand sketches then designed a visual direction. 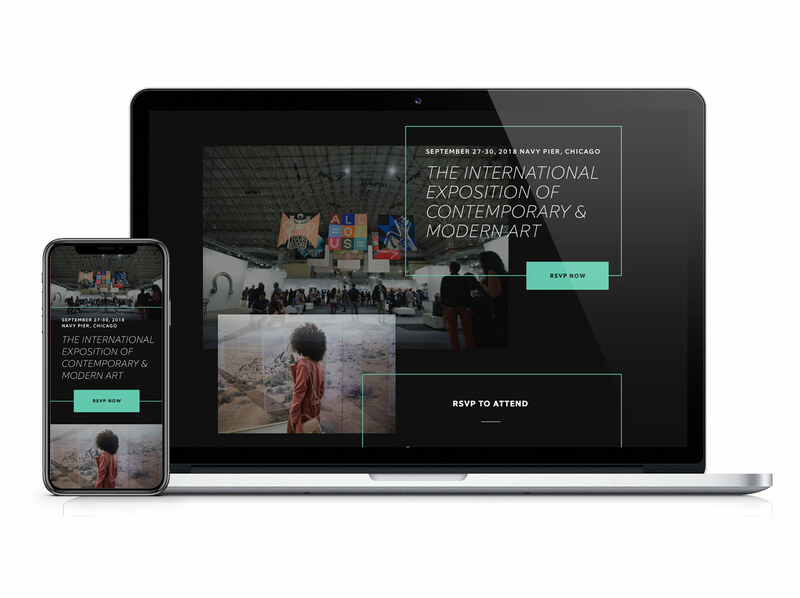 The "Galleria" theme borrows from contemporary and modern art galleries with a high-stylized look and feel, and a unique focus on artwork mixed among different content sections. "Galleria" needed a comprehensive styleguide to ensure consistency, readability, and usability. I created both desktop and mobile designs for a fully responsive site. I created a comprehensive styleguide to provide guidance for the visual design, UI elements, and the developer. 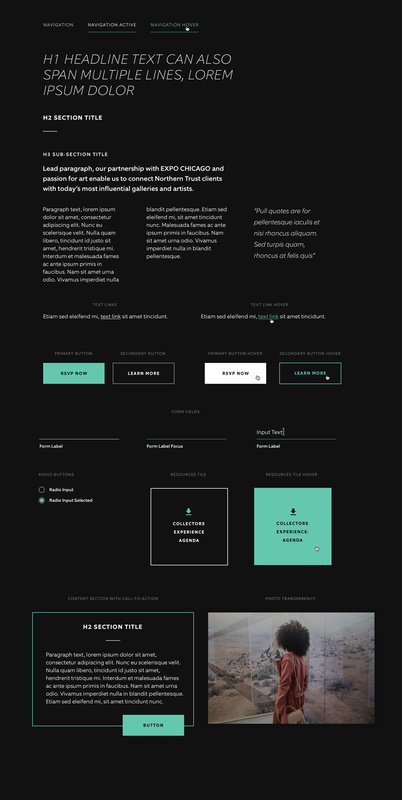 I designed custom HTML emails to complement the landing page. I designed to ADA “AA” color contrast standards in all colors, typography and UI elements to ensure accessibility and readability. The total designed screens included desktop and mobile layouts, and a custom-themed HTML email. 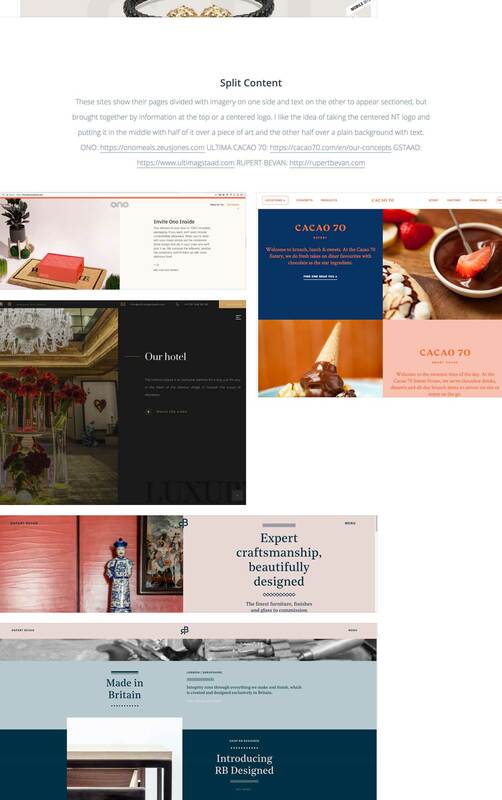 The home screen uses a sticky header and parallax scrolling imagery to help the user navigate down the page. The client loved the "Galleria" design direction, and although the final design varied a little from the above, the campaign succeeded in a 12% higher RSVP rate than the previous year.